Getting hands-on with Filipino cuisine. Attention, brave eaters and Filipino food lovers alike. In the spirit of Halloween, I’ve concocted a three-course prix fixe menu featuring exotic Filipino foods that you can serve to a loved one. Granted, one look at these dishes can send said loved one running for the hills. But alas, these dishes are enjoyed everyday by Filipinos across the globe. Why? They’re just so darn good. Beware, folks. This post is not for the lighthearted. Bon appétit and happy Halloween. What lies beyond the shell. Oh, the horror! 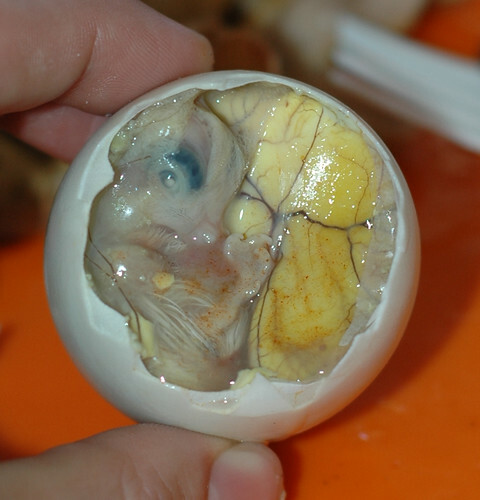 Seen by Filipinos as a true delicacy, balut is nothing short of a protein lover’s dream. That’s because it’s a fermented duck embryo. Typically served in its shell, all one has to do to enjoy balut is crack the egg on its hollow end, sip the flavorful amniotic fluids, and dig in. These babies (no pun intended) aren’t as bad as they seem… for the most part. I actually eat around the embryo nowadays, but I wouldn’t be opposed to eating it again, especially for $50,000. 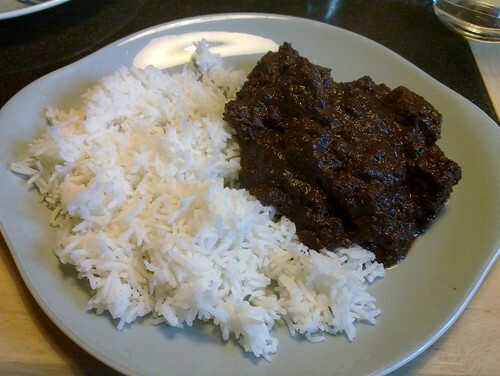 Dinuguan with white rice. Classic. Nothing sets the Halloween spirit like blood. Well, how about pig’s blood? 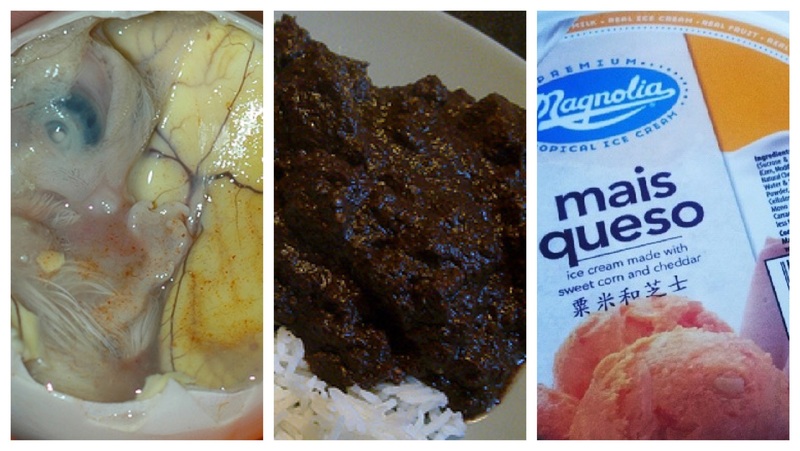 Dinuguan, otherwise known in my household as “chocolate meat,” is a stew with pig blood as the base. It’s normally served during breakfast and has tender pieces of pork. Now, what about the blood flavor? Barely distinguishable! Most dinuguan recipes call for generous amounts of garlic, which hides the deep, silky flavor of pig’s blood. Make sure you wipe your mouth completely clean before leaving the house though. The dish leaves stubborn stains around the mouth. Not your ordinary guilty pleasure. Corn and cheese chowder? That’s one thing. But how about corn and cheese ice cream? It’s one of those weird combinations that works together. Sweet from the corn and irresistible from the cheese, it’s a trademark Filipino ice cream flavor that’s bizarre but it works. It’s definitely up there with ube (purple yam) ice cream. Guaranteed, it will keep you coming back for seconds. Enjoy your meal, folks. And have a safe and happy Halloween. Thank you! I can’t blame you on the balut. It’s definitely not easy on the eyes! STEAMY SURF & TURF. 🥩🦀 have you seen these steam boxes from @roundtablegrill? 🤔 didn’t know I needed steamed brisket in my life until I tried it. it’s a new, interesting way to enjoy #kbbq!